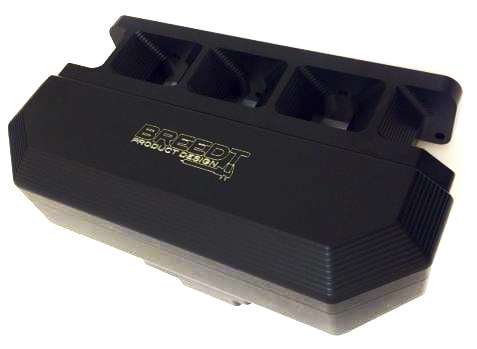 Ths stunning piece of engineering from Breedt allows you to change the standard plastic inlet on your ST250 and Mk3 RS. This direct replacement part will ensure your car doesnt suffer the same fate as previous ST225 Focus by cracking the inlet manifold once the engine has been tuned. Further more this inlet has been desinged to allow the use of methanol injection and also includes a port to run a boost gauge or a bov without having to modify any of your standard parts. If your serious about big power from your ST250 or RS then the Breedt Inlet manifold is a must have for you, not to mention it will be a visually stunning addition to you engine bay, perfect for flaunting at car shows and meets. The Pumaspeed Workshop team are ready to fit the Breedt CNC Billet Alloy Inlet Manifold in our Head Office located here. Therefore making parts and labour a total cost £1,126.00 (inc. VAT). Pumaspeed have a specialist distribution team that can dispatch the Breedt CNC Billet Alloy Inlet Manifold to any destination worldwide.